For screen change, the top frame is driven between the lifting posts into its raised position, and the inner carrier opens for the operator to pull out and push in the screen frames from the side. All above movements as a set may be switched On / Off (restored) from a button, convenient for screen setup and maintenance. Ensures perfect control in the third dimension of the printed image, providing a uniform layer of ink from print start to stroke end. Pneumatic-hydraulic actuation leads to a likewise smooth and positive movement, electronically fine tuned to the cylinder rotation. 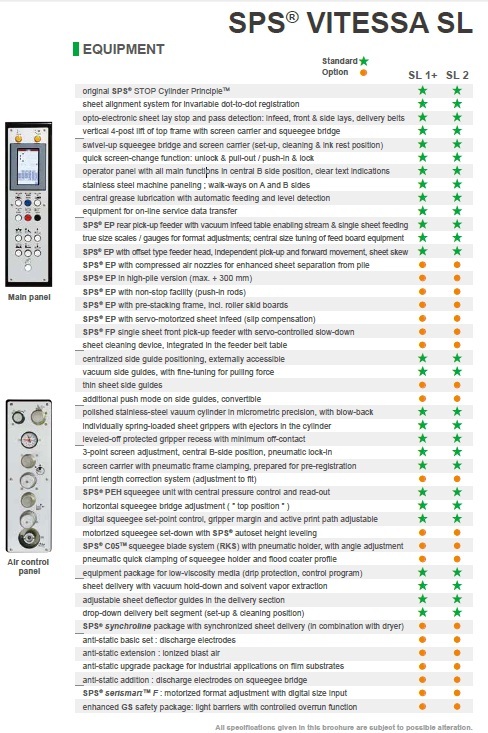 Set squeegee pressure is automatically kept constant. 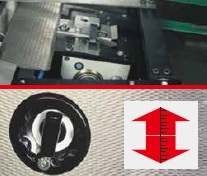 The adjustable set point adepts to different job profiles with varying gripper margins, for printing full sheet area. 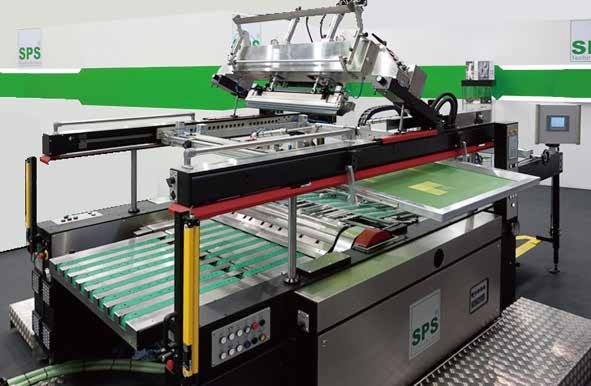 The heavy-duty SPS® EPrear pick-up feeder with advanced separator head. Sheet take-up from the pile and transfer to the vacuum belt table are independently managed by pick-up and forward suckers. A double sheet detection and a sheet skew function for controlled turning are included. The sheet separation can be enhanced by optional nozzles with pulsating compressed air. 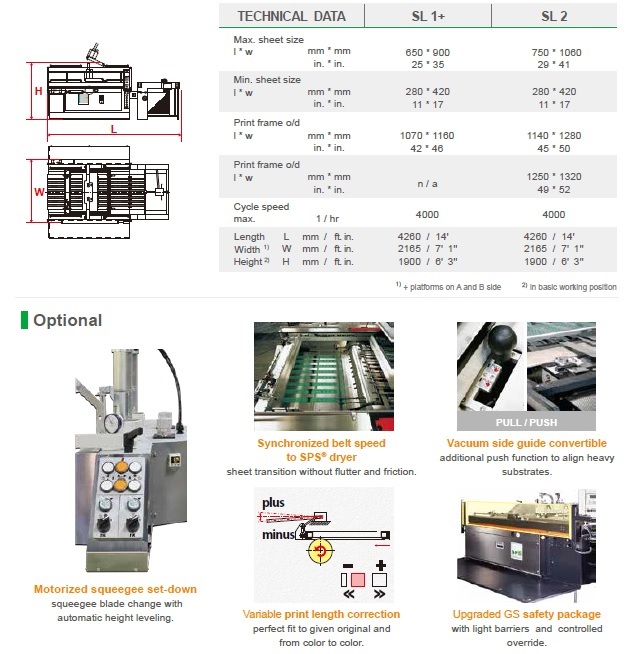 Providing stream and on demand single-sheet operation modes. 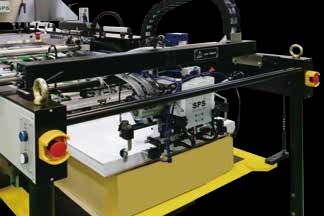 May be changed to optional SPS® FP servo-driven front pick-up feeder. 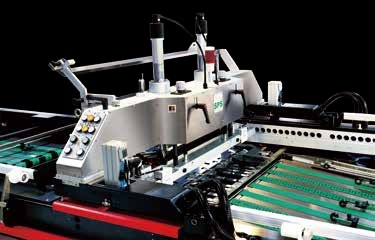 cylinder provides adjustable automatic sheet vacuum / blowback system. 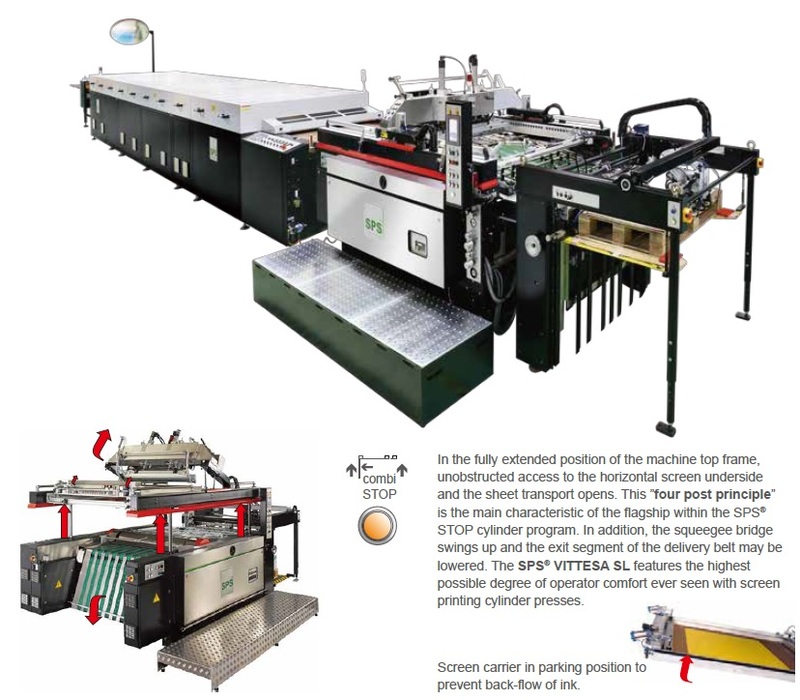 Also with: sequence-controlled adjustable sheet smoothers, front edge lay stops with opto-sensors, spring laded sheet grippers with integrated ejectors - all under clean cover. All adjustments to format size are combined with scales or gauges. Lateral positioning of the two side guides is externally accessible . Screen registration between color runs is made at the centralized three-point adjustment. 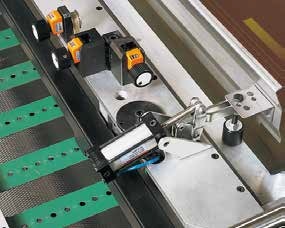 Automatic frame clamping and locking into position is by the push of a button. 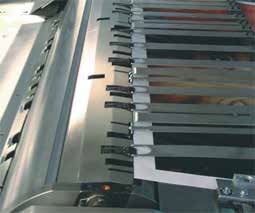 Time-saving preregistration systems, used to maintain stencil position from screen making to press, fit perfectly.